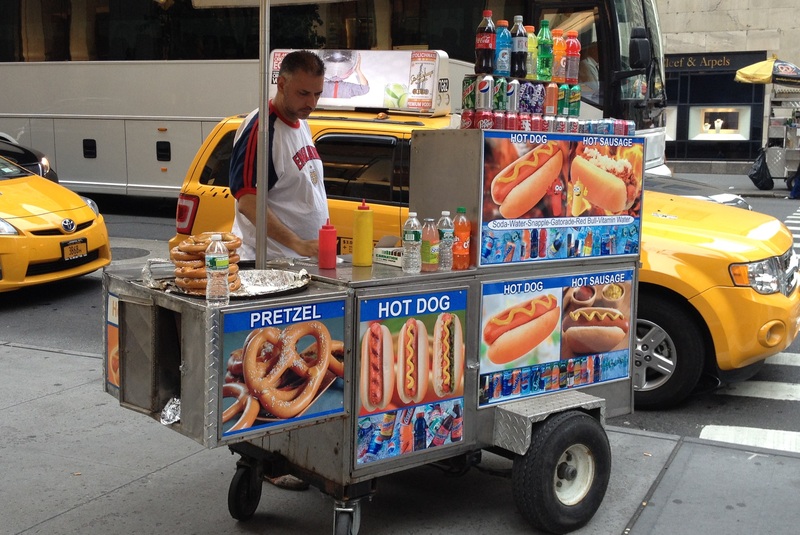 Usually I walk right past without even noticing the food carts, but a few days ago I took another look and realised that I’ve never had a pretzel. 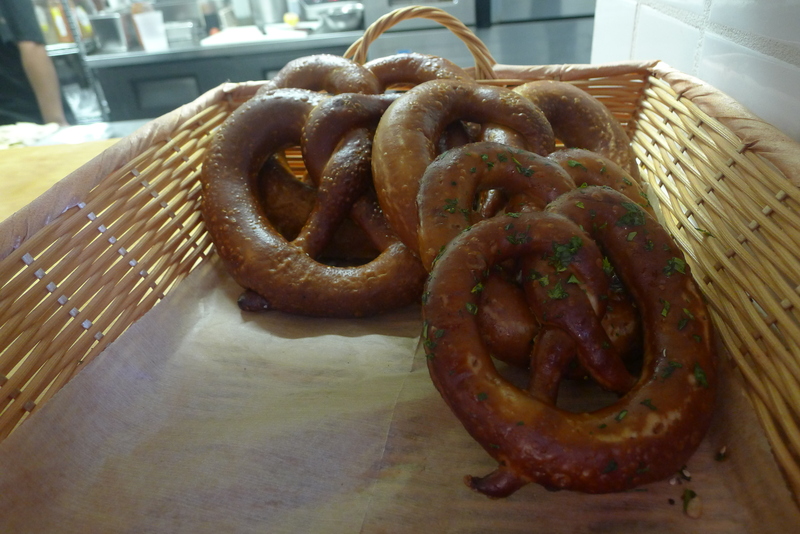 Even though it’s originally a European food, for some reason I connect it with New York; perhaps because I don’t think I ever saw a single pretzel for as long as I lived in London. But rather than buy from a food truck, I thought I should do it properly and go for a fresh one. 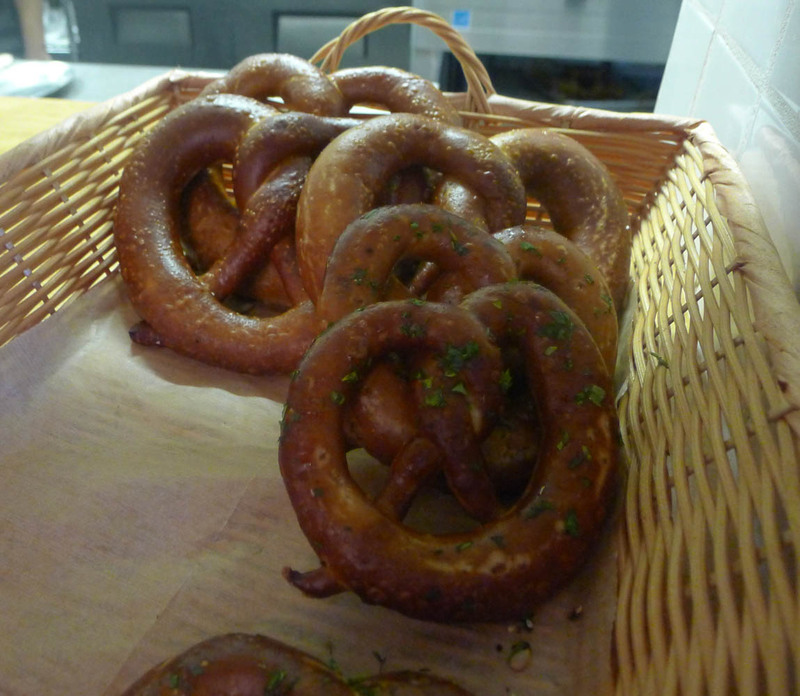 After a bit of research, I discovered Sigmund’s Pretzels in Alphabet City. 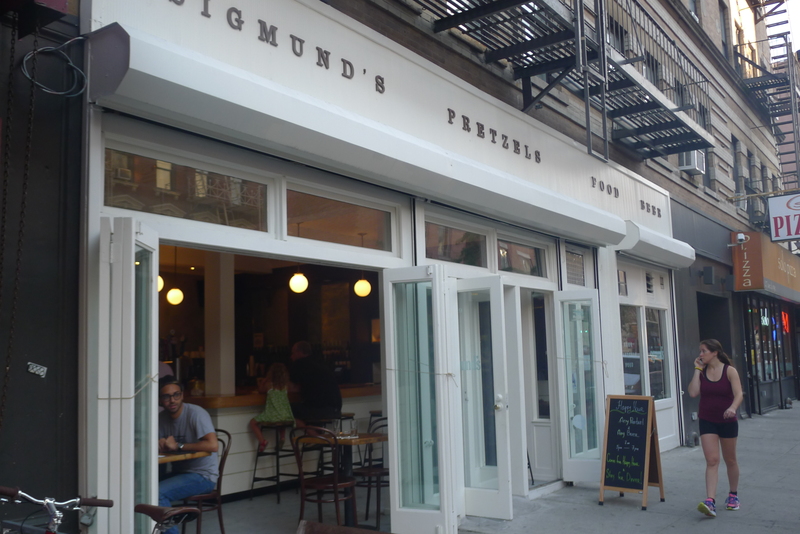 Sigmund’s is an open-fronted restaurant between Bodegas and wine bars. It’s light, airy and simple – just like its menu. 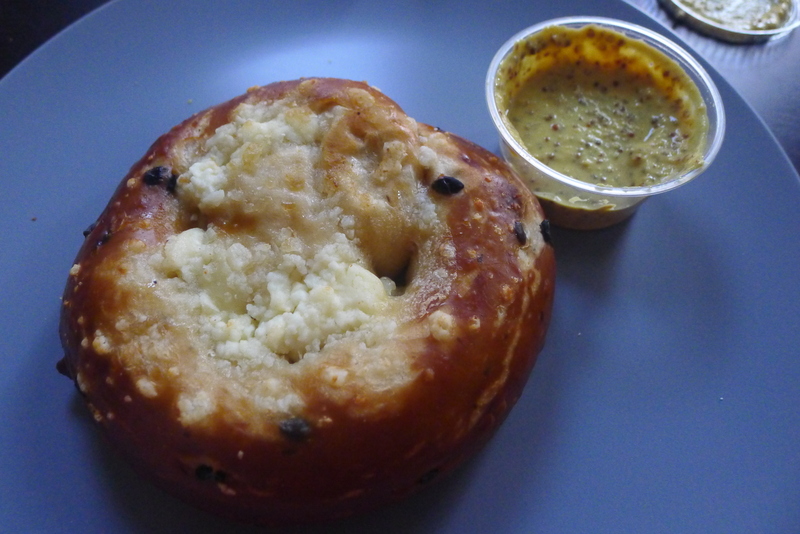 I opted for a feta and olive pretzel with wholegrain mustard and, once it was warmed up, I took it to go. 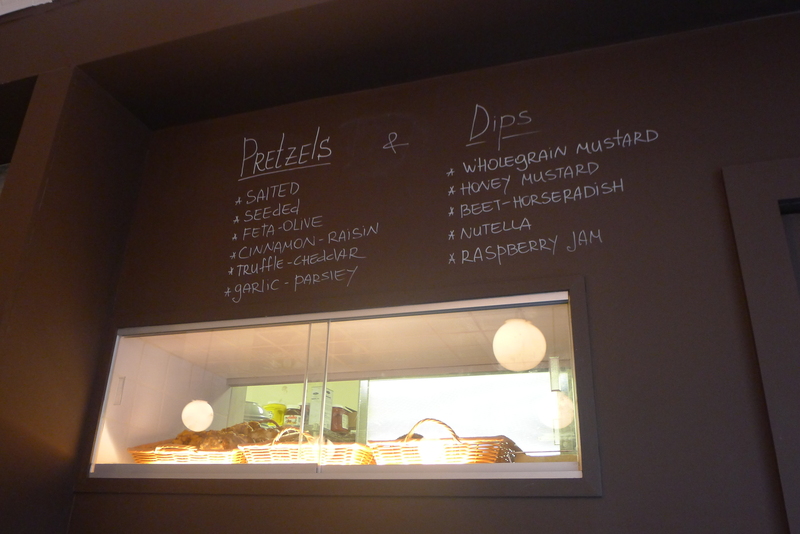 But this is a great spot for a lunch, a light meal or dinner – or for the $7 beer and pretzel happy hour combo. The pretzel was delicious. 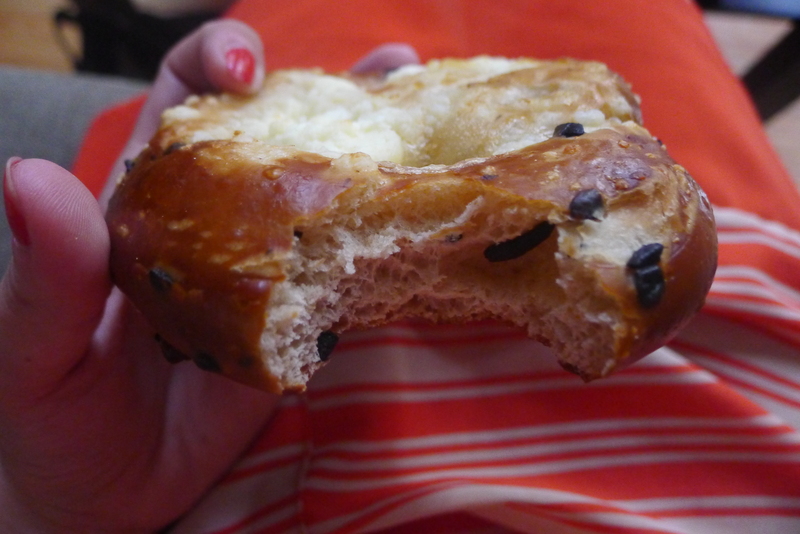 Thankfully it didn’t have too much feta – just a thin layer across the top – because I wanted to taste the pretzel. 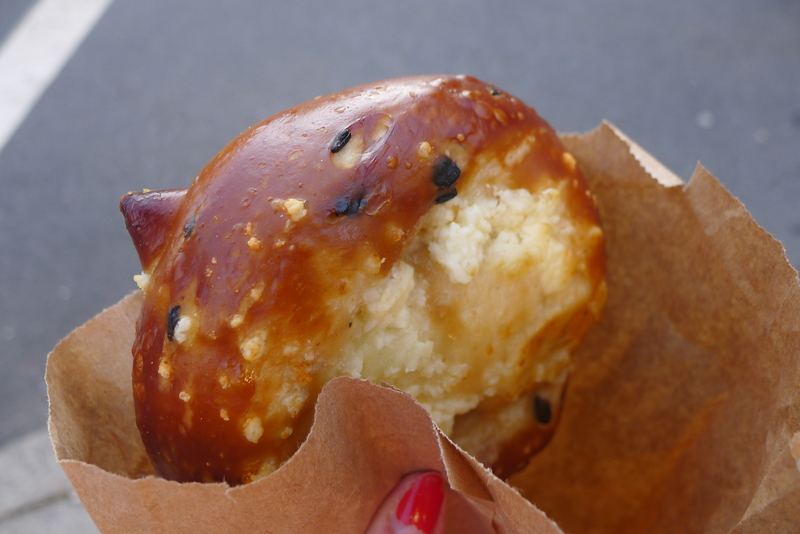 It was doughy but surprisingly light and an absolute savoury fest. 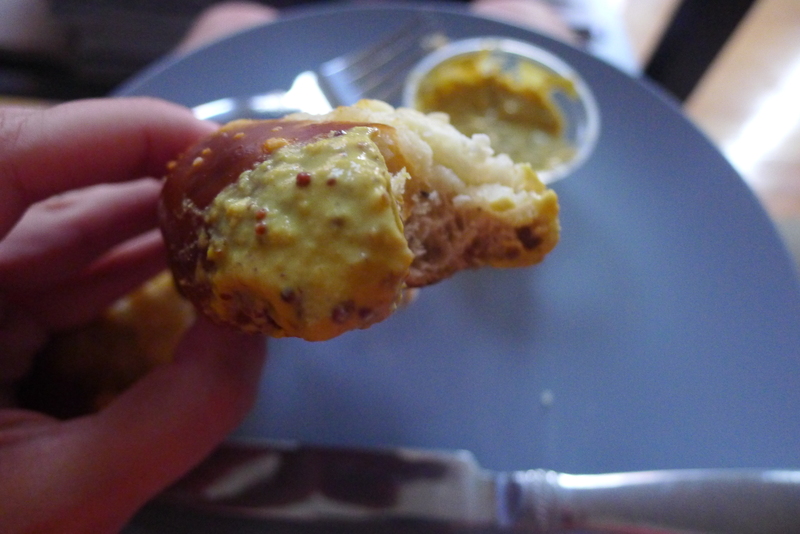 I’m not a mustard lover, so a light dip was enough. For $3, this was a great dinner. Or breakfast. Or lunch. 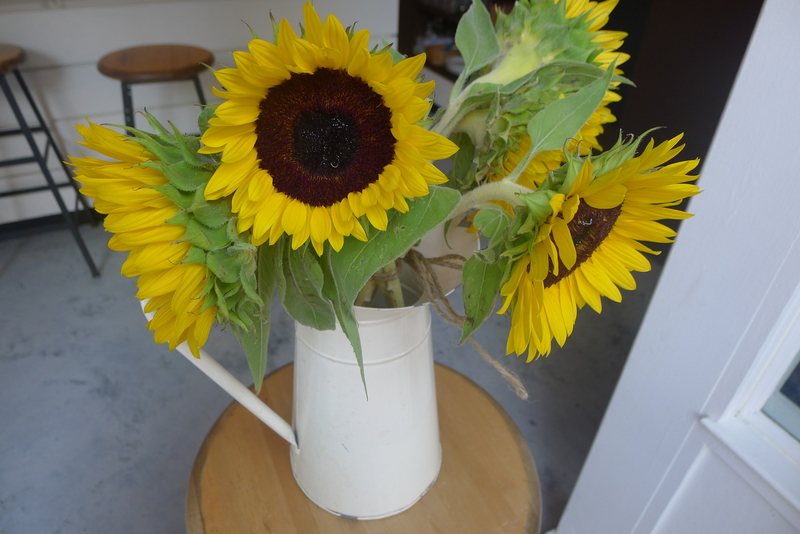 There seems to be a pattern developing across this blog – because I want to go back! I’m getting hungry reading this!! Haha, I know – I’m already thinking of when I can go back!